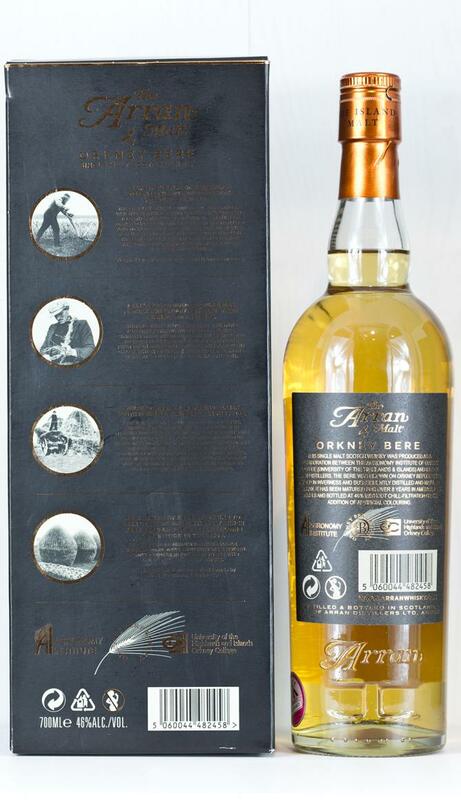 Arran 2004/2012 'Bere Barley' (46%, OB, Orkney Bere) Colour: straw. Nose: lovely! Bags of fresh zesty fruits, lemon, gooseberries, yellow peaches (not the sweet juicy ones), with a grainy/cerealy side that’s well there in the background but also rather less ‘invading’ than in Bruichladdich’s no-less excellent bere, as far as I can remember. I have to say this fruity freshness comes as a surprise to me. There are also lovely touches of fresh herbs, angelica, dill, citronella, verbena, lemongrass… Lovely lovely! Maybe even a little caraway. Mouth: excellent! More character now, more spices, always these zesty touches, a lovely creaminess, various honeys, touches of ginger, caraway again, vanilla, a slight earthiness, probably agaves, even sugar cane, chamomile… All much to my liking. This malt never stops unfolding, which usually happens more with (much) older whiskies. Also superb notes of citrons and grapefruits. Excuse me, but wow! Finish: long, superbly fresh and clean, zesty of course, with an expectedly spicier aftertaste. Maybe an excellent curry? Comments: I’m so sad I couldn’t do a head-to-head with the Bruichladdich. It’s impossible for me to tell you which I like best, so same score! 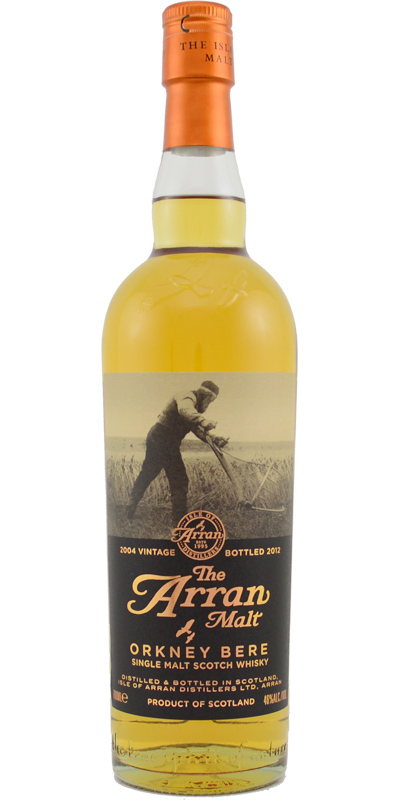 I think the Arran is a little easier and a notch sweeter, but it’s also bottled at a lower strength (the Laddie’s at 50% vol.) Oh, and sadly, I haven’t got any of Michel Couvreur’s Bere either. Maybe you know that Michel Couvreur passed away on August 17 this year. RIP!SGP:461 – 90 points. Grass, grass, and once again grass, super! N: un naso che sulle prime sembra piuttosto ‘standard’, con però una buona intensità, una facile apertura (anche se all’inizio l’alcol si fa sentire). Si sente molto l’invecchiamento in bourbon, che pure non sovrasta il malto: note di vaniglia cremosa, di cocco, di pere, di mele… C’è poi un bel malto biscottoso, e tanto miele. Non mancano anche, lievi ma ben integrate, note di agrume (succo di limone zuccherato, molto nitido il lime; cedro candito? ), ed anche suggestioni tropicali (maracuja? ananas? ); poi susine gialle? Davvero gradevole. P: in linea col naso, più ‘cerealoso’; resta semplice e molto godibile, facilmente sgargarozzabile. Si pregia di sapori caldi e vagamente cremosi: ancora miele, un po’ di mandorle (più frutta secca che al naso), vaniglia e cocco. Il lato fruttato diminuisce molto, restando appunto maltoso e cerealoso (diremo farro). Verso il finale, sembra regalare suggestioni di pepe. F: non lunghissimo ma abbastanza persistente; vaniglia / cocco (c’è un che di tropicale) e tanto malto. Ancora frutta secca (mandorla) e pepe. 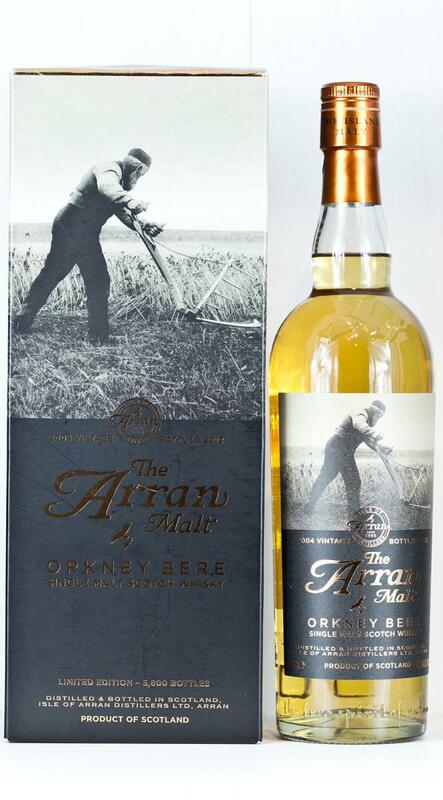 This is the only Arran that I know of that Serge has given 90 points. A real gem from the Arran distillery! Cereal bars, vanilla, a bit mineral (limestone), green herbs, eucalyptus and grassy. With time, the fruitiness gets bigger, with pineapple and marshmellows. Full and sweet, on green herb liqueur, and fruity on apples and lemon. With time, a tropical fruit salad joins the party. Malty and mineral, on soft barley and wet stones. Also, I detect some yellow fruits. Loads of flowers followed by apples, vanilla, butter, hay. Sweet and pleasant. Vanilla, fruity sweetness contrasted with dryness, spices - pepper, ginger - and cardboard. Quite short, spicy, especially on the pepper, sweet, very sweet.